there are some foods that are so polarizing. from my experience, oysters are one of them. i guess more specifically, raw oysters. i’m no connaisseur when it comes to the differences between types, which region they come from etc. all i know is, i enjoy them. small, large, meaty, thin, creamy, metallic, i’m not that picky – i usually just add a small squeeze of lemon, sometimes a smidgen of fresh horseradish and they’re good to go! 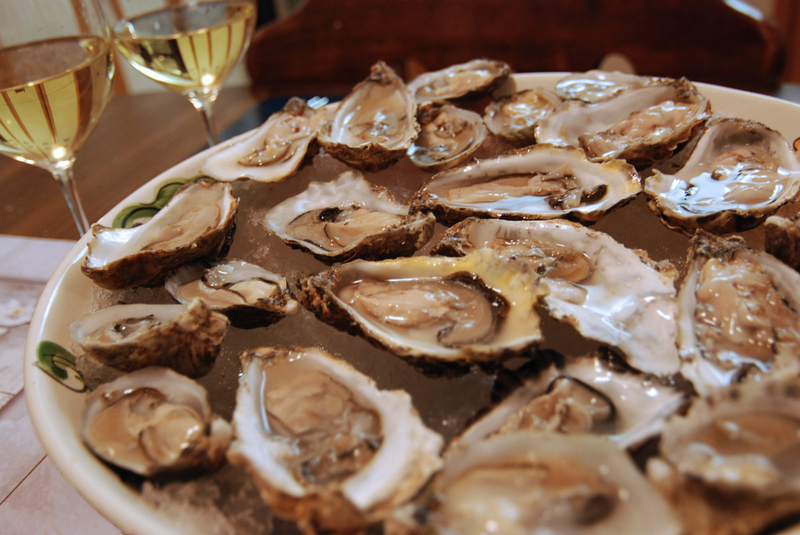 oysters with some wine (white or sparkling) are an indulgence, and all the more fun when it’s a group event. i’ve enjoyed them during my travels, but sadly each time, was not able to find a kindred spirit to share the experience with. still, the simplicity of these ocean treasures can’t be beat and remain as some of my favourite meals abroad. 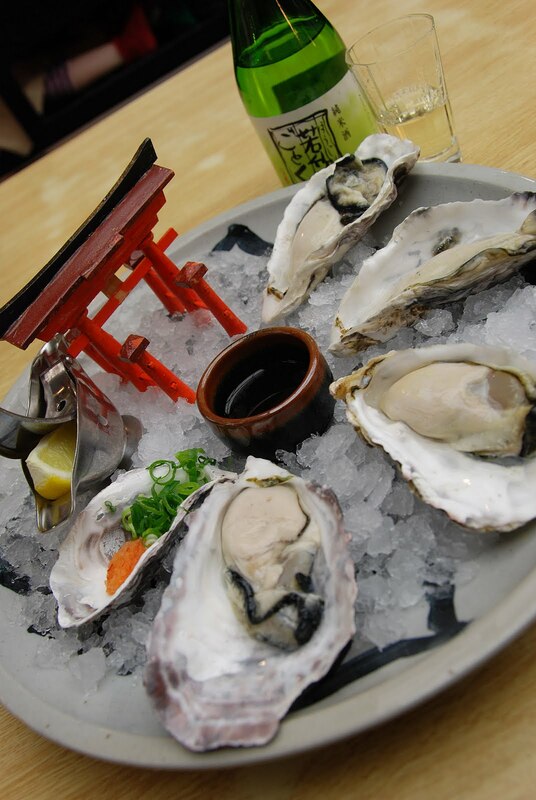 enjoying oysters with sake in Japan. yumm! 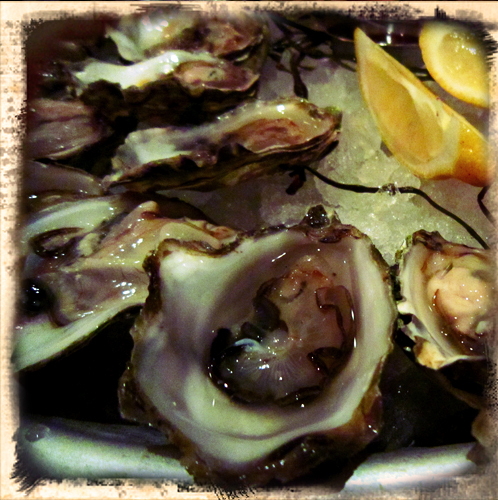 are you a raw oyster lover or hater? would you agree they are an acquired taste? for those that eat them, are you a purist or what condiments do you add?